← Victor Borge – Timeless. This information, posted here originally in 2015, received a large number of views yesterday. No particular reason for the rush that I am aware of. It is being reblogged because it is recognized by many readers and it deals with a very important issue for all. Current mandatory vaccinations in Australia are only justifiable for political reasons, not health. this is supported by many medical experts. This is a classic article of overwhelming significance. It shows that as far back as 1915, vaccinations were under suspicion of both health dangers and questionable medical practices. Including collusion from supporters covering their own backsides. Under suspicion for very solid reasons, what’s more! A complete absence of ethics and responsibility. On shaky scientific grounds for nearly 100 years! I would like to copy a substantial part of the article for purposes of maximum exposure and apologize for any copyright or related ethical issues. It is a fascinating story, the fact that it is based on a tragedy makes it sad but at the same time makes it powerful. It now has direct relevance to modern injustices where extremes in all the relevant areas are currently being applied to today’s public. 3 Responses to Forbidden History: Did You Know that Raggedy Ann is an Iconic symbol for Vaccine Induced Injury and Death? 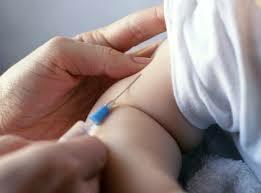 Is it the vaccinations themselves or the incredible number administered at such a young age? I compared my “map” compared to today’s and I have maybe 8 or 9 while today, there are 42 vaccinations given as young as 6 months (earlier?)! Keep in mind that I am just publishing reports written by experts, or expert reports posted by others. Of course, I believe them to be credible. It seems likely that the number itself is a factor, particularly when several can be injected on the same day. Then some, like MMR and DTap are multiple vaccines. Both of these aspects apparently have NEVER been safety tested! IN fact, it seems that NO vaccines have been credibly tested for safety.